Doctor Strange 2 has finally been confirmed. The first Doctor Strange was a bit of a gamble, considering how obscure the character was, relatively speaking, but it was a gamble that paid off quite handsomely for Marvel Studios. As such, fans have been awaiting the announcement of a sequel. Up till now, those within the Marvel ranks have only expressed their desire to do another movie. Fortunately, Marvel Studios President Kevin Feige has finally said that it's going to happen, we just don't know when. Kevin Feige has been out promoting Ant-Man and the Wasp, which arrives in theaters next week and has been getting very positive early buzz. During a recent interview, he was discussing the balance that has to exist in the MCU with all of the various solo franchises they now have to work with and he used Doctor Strange 2 as an example of something that will take place a number of years after its predecessor. Here's what he had to say about it. "Sometimes it's where do those characters pop up? [Doctor] Strange, you know, whenever we do another Strange one, which we will do, it will be a number of years from the first Strange, and yet he's a very big part of [Avengers:] Infinity War. So it is just a good problem to have when you have too many beloved characters that people want to see more of, whilst keeping to our core belief that we need to keep exploring nuance and keep doing different types of things." That's both good news and potentially frustrating news for big fans of the character. 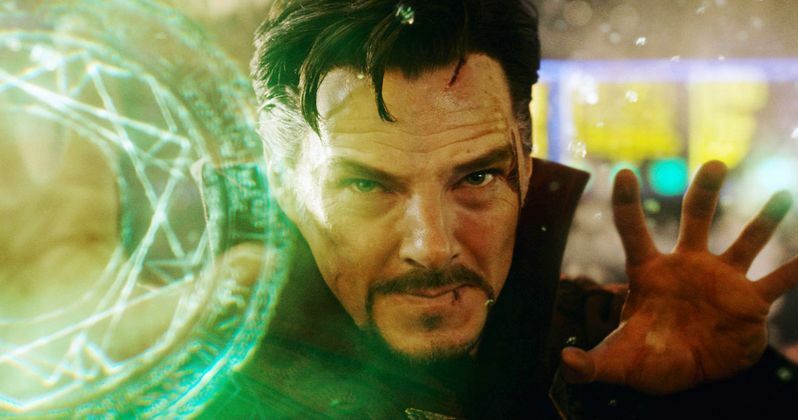 Odds are, Doctor Strange 2 will be part of Phase 4 alongside movies like Spider-Man: Far From Home, the Black Widow solo movie and Guardians of the Galaxy Vol. 3. But as Kevin Feige points out, Benedict Cumberbatch has popped up as Stephen Strange in Thor: Ragnarok and was a huge part of Infinity War. He's also likely going to be in Avengers 4, even though he did fall victim to Thanos' deadly finger snap. It's already been two years since Doctor Strange. One of the longest gaps in the MCU between sequels so far was between Thor: The Dark World and Thor: Ragnarok, which was four years. If we use that as a benchmark of sorts, perhaps we could expect Doctor Strange 2 in late 2020? Director Scott Derrickson has expressed his desire to return for a sequel and writer C. Robert Cargill recently revealed that, given the chance to do a sequel, they will include the villain Nightmare. The Doctor Strange post-credit scene also set up Mordo for a villain arc, but that could be something of a long play. We may not have a release date but fans can take comfort in knowing that Doctor Strange 2 is going to happen. Eventually. This news comes to us courtesy of CinemaBlend.